The Beaujolais is one of France’s most spectacular places. Beloved for its vineyards, Beaujolais is a household name for those who enjoy French red wine, though few people manage to visit. More than just hills of grape vines (though there’s plenty of that too! 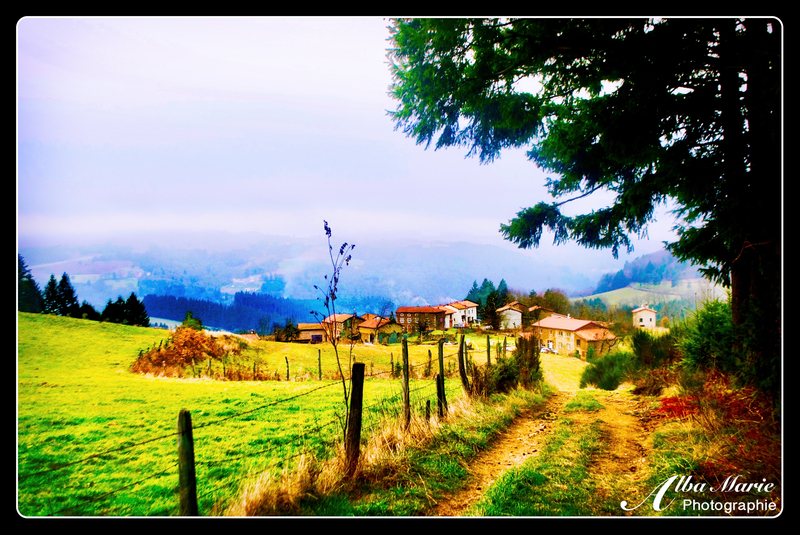 ), the Beaujolais is full of tiny medieval villages, such as Ternand. The size of a teacup, Ternand is as picturesque as it is hard to find. Perched on the top of Mont Chatard, one of the Monts du Beaulojais, Ternand’s tiny village streets lined with ancient houses encircle the church (with frescos from the Carolingian era), the 12th medieval castle – or what’s left of it – and its donjon (the castle’s fortified tower). Only about 700 people call this quiet hilltop village home today, though its construction using the beautiful golden-coloured stones found in the Beaujolais means it is classed as part of the Pierres-Dorées region. Located within the Azèrgues Valley with views over nearby villages like that of Oingt, this rocky outcrop has long been inhabited – possibly dating back to Roman Gaul. Ternand village, constructed in the 12th century, was under the ownership of the archbishops of Lyon. 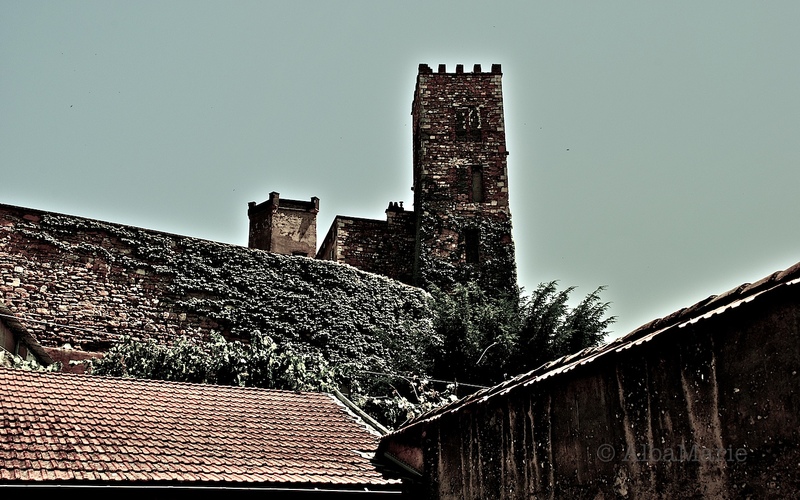 The castle long stood solidly atop Mont Chatard – until 1562, when the Hugenots (as part of the Wars of Religion), stormed the castle and left it a smoking ruin. Today, Ternand does not appear on tourist maps nor is it along the path-well-travelled. It’s a bit of a climb to get to the hilltop, and seems far from civilisation or the 21st century. Instead, it is a quiet place where cats wander the cobblestones, children play in the gardens, and the sounds of clinking cutlery emits from modern kitchens tucked away inside ancient homes. In short, Ternand is the perfect getaway from our fast-paced, screen-loving, need-it-now world. Pro tip: Instead of walking straight into the village from the small carpark, follow the path down around the back side of the village. Here, you’ll get an amazing view of the Azergues Valley. 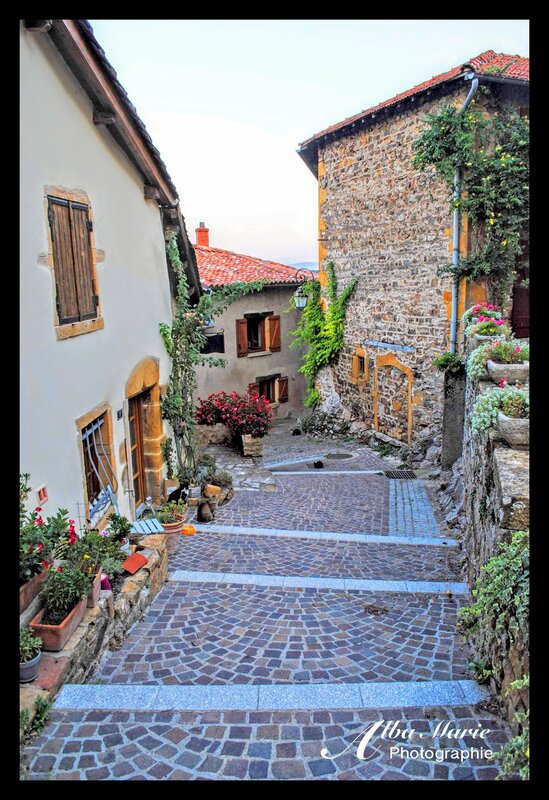 Take the stairs up into the village, where you can wander the tiny streets. If you’re interested in wine and grapes, consider taking part in the vendages or the grape harvest, which is end of August or September, in one of the many vineyards in region! France has a lot of amazing places – including so many places you’ve never even heard of! The Ardèche region is certainly one of them. Snuggled into the mountains in the southeast of France, the Ardèche is a hilly, rugged region full of narrow and winding lanes, deep canyons and timeless villages. Most international tourists completely miss out on this magical region due to its relative anonymity and to a degree, its inaccessibility. An extension of the Cévannes mountains further south, the Ardèche is perhaps best known for the Gorges d’Ardèche and the Pont d’Arc (a popular swimming area with locals). 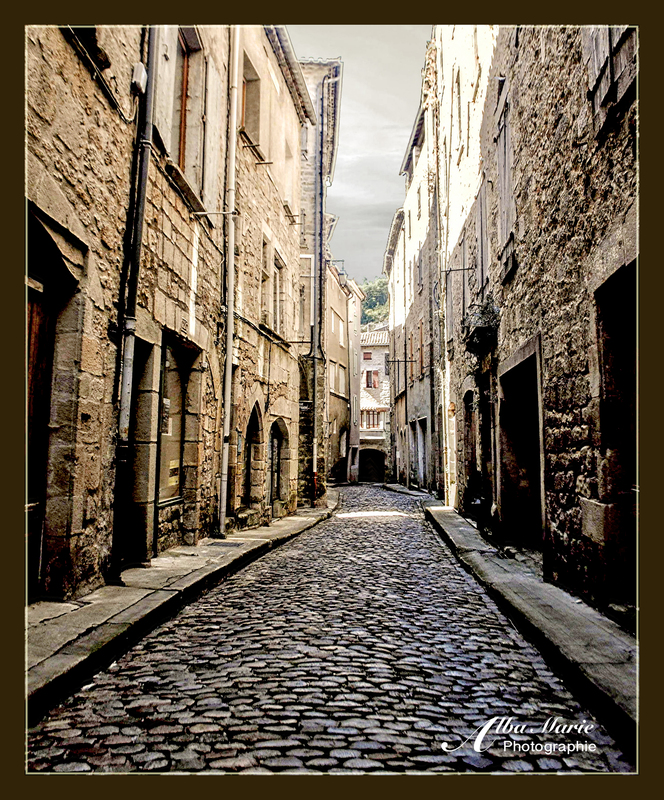 One of the Ardèche’s most magical secrets is the perfectly medieval village of Largentière. Tiny alleys twist and turn, ducking in and out of the bright French sun, meandering through ancient buildings, winding through covered alleyways and tunnels, and broadening suddenly into sunlit squares. Small cafes and tiny shops dot the streets and squares, medieval houses rise above, and a river trickles by. Overhead, Largentière Castle stands sentinel as it has since the 12th century. Wander the quiet cobbled streets, enjoy your French café on a terrasse in the sun, and take in the ancient wonders of this forgotten world. Pro tip: Though the castle cannot normally be visited, if you visit Largentière during July or August, you can visit the medieval festival held there, Au Dela du Temps. Back in the village, there is a great hipster bar, quirky thrift shop, a delicious crêpes place, and a dusty but lovely used bookshop, all worth ducking into at one time or another. Andalucia is a region full of adorable white villages, chocolate-coloured fields and rugged landscapes. There are dramatic castles and sun-kissed farmlands basking under the brilliant Spanish light. Around each bend, there is something beautiful and heart-throbbing. One such place is the little hilltop village of Zahara de la Sierra. Tiny alleyways wind their way around the natural rock face. Quaint houses are painted white and framed with wrought iron lamps and pots bursting with colourful flowers. Intricate doorways frame picturesque steps that lead the wayward traveller up the hill towards the castle. And yet, what we think as quintessentially Spanish was actually brought here by the Moors. Though the Al-Andalus tribes left some 500 years ago, the mark they left is ever-present and has embedded itself literally into the fabric of Spain – or at least its architecture. Moorish architecture – married with Spanish creativity – is what inspired this doorway – just as it was that constructed the beautiful Teruel Cathedral or Cervantes’ birthplace (Alcalá de Heneres). Even more famously, Moorish design is what makes Andalucia’s most famous sites so unique in the world – Sevilla, Grenada, Cordoba. 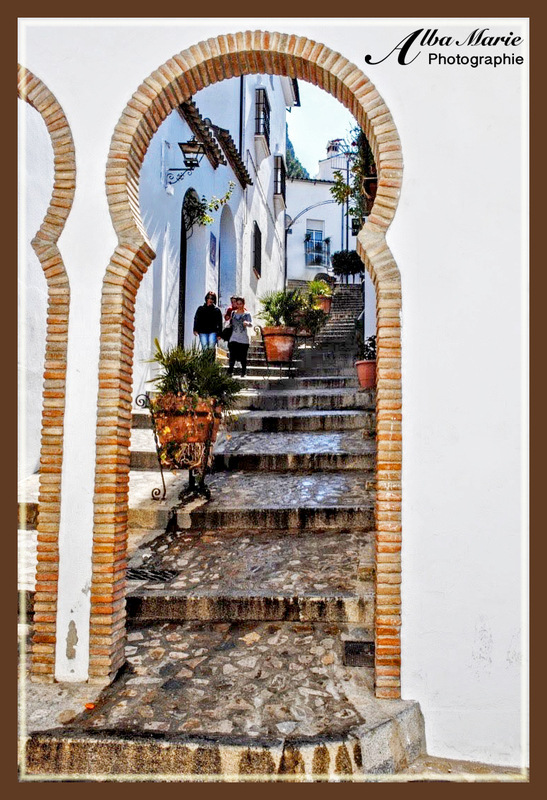 From big cities to tiny villages, Andalucia – and Spain in general – is full of hidden gems like this little doorway and alley, if only you set out to explore them. Pro tip: Malaga might be Andalucia’s most convenient airport to arrive in the region, but spend as little time in Malaga and as much time in the rest Andalucia as you can. The beaches are meant to be nice (and are where most visitors want to go) but unless you love overcrowded sandy places that look the same as overcrowded sandy places anywhere else in the world, leave the coast behind and head inland for off the beaten path wonders like this one. Ronda is a great jumping-off point to explore the region. Possibly containing Europe’s highest density of picturesque villages, Italy is practically a fairytale land. Deep within Northern Italy’s charming and beautiful Aosta Valley is the little-known fairytale village of Cogne, perched within a now-forgotten mountain pass crossroads through the Alps. Often home to Italy’s professional cross country skiing team who come here to practice on its renowned 70 km (43 miles) of trails, Cogne village is snuggled into the Italian Alps making it an outdoor lover’s paradise. During winter, enjoy cross country skiing or perhaps downhill skiing and snowboarding. Explore the nearby valleys on snowshoes or even try your hand at ice climbing! 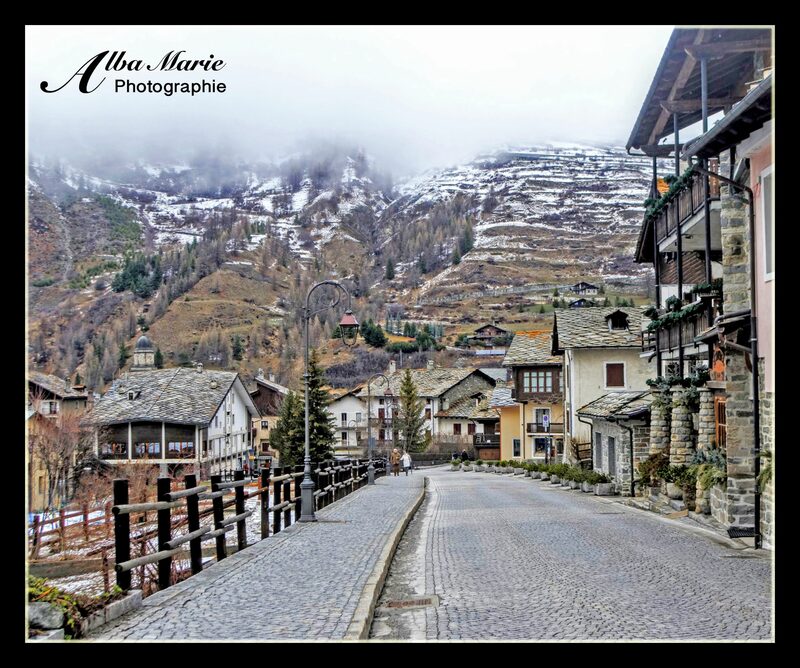 On your way there, be sure to visit the Savoyard town of Aosta, founded by the Romans. During the summer, hike the impressive mountain trails of Gran Paradiso National Park. Inhabiting these mountains are herds of ibex, wild goats, marmots and eagles – all easy to spot while out hiking or snowshoeing. 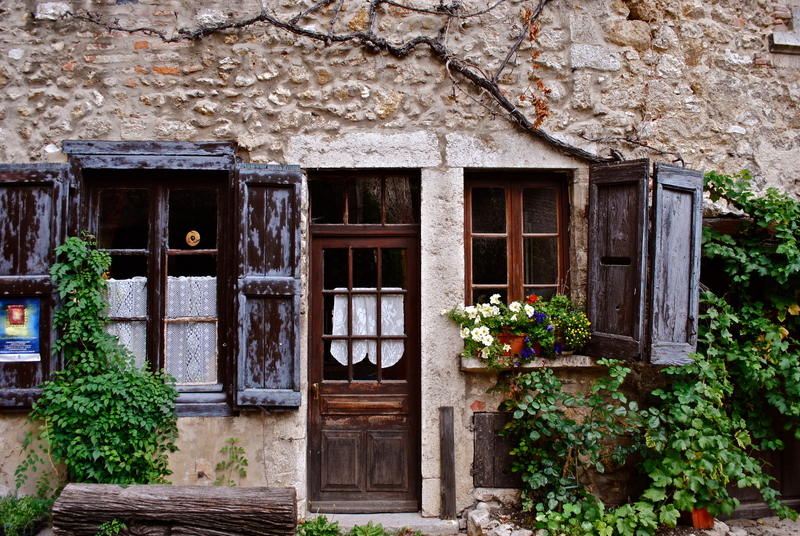 Back in town, wander the adorable streets of Cogne to admire the quaint old-world Alpine architecture. Be sure to taste the region’s delicious red wines and cheeses such as the Fontina and the Fromadzo where you’re here! Pro tip: If you’re looking for a relaxing Alpine escape, plan a stay at the rustic wellness hotel & spa, La Madonnina del Gran Paradiso. Please keep in mind that though the road to Aosta is quite good, you’ll need to take narrow, winding mountain roads the rest of the way to reach Cogne. Not for the faint hearted! France’s Beaujolais in autumn is a lovely, vibrant place – rich oranges, reds, yellows and golds contrast with the brilliant azure skies and the remaining emerald greens. It is magical place, reminiscent of a fairytale storybook. 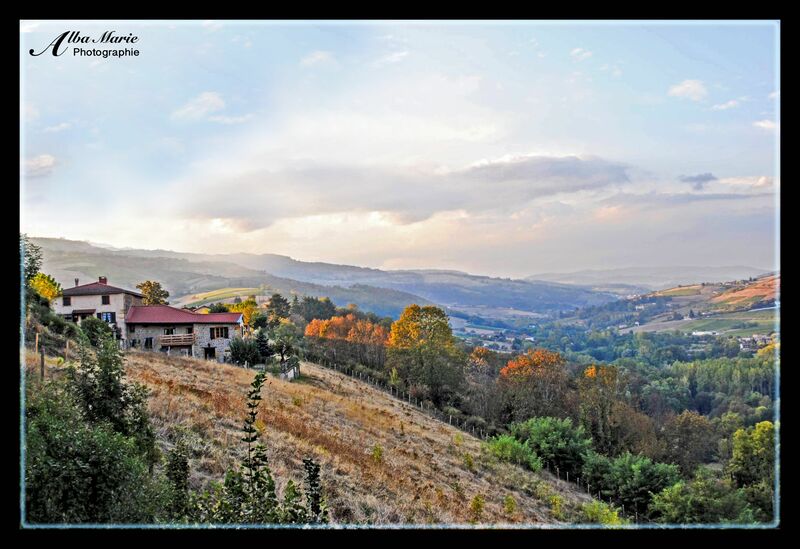 Contained within the Beaujolais, a breath-taking region just north of beautiful Lyon, are the enchanted Monts des Beaujolais, a colloquial name given to this corner of the Massif Centrale mountain range parading across the historical region. Though long integrated into the larger Rhône-Alps (really Auvergne-Rhône-Alps; French départements keep growing), the Beaujolais maintains its own identity. The hills, soil and climate make it ideal for wine-growing – in fact, some of France’s most respected wines come from this region, alongside sister vineyards of the nearby Côtes de Rhône. Want to try some Beaujolais wine? Next time you’re in France, try a Mâcon, Brouilly, Morgon, Fleurie, Chénas or even a simple Beaujolais Villages! Every fall, once grapes have been harvested, pressed and fermented, the Beaujolais villages celebrate the 3rd Thursday of November with a festival to taste the Beaujolais Nouveau – the season’s new wine. With 12 AOCs (Protected Destination of Origins), the Beaujolais produces on average 1 million hecto-litres each season, of which 97% from Gamay grapes (almost exclusively red wine). And it’s not just wine that makes the Beaujolais special. What makes the Beaujolais ideal for growing grapes has made a prime region to control over the centuries – hence the remnants of ramparts and fortifications. It is a beautiful region full of colourful hills each topped with ancient medieval villages, crumbling and imposing castle ruins. Pro tip: For the most adventurous, sign up for les vendanges, the grape harvest in August/September. Hard work but worth it! For those with less time, simply visit an authentic vineyard for a tasting fresh from the barrel. Visit the tourism office in Lyon or Villefranche-sur-Saône for an updated list in vineyards. Rivendell? Gondor? Narnia? Hogwarts? Sadly, no to all. However magical it looks, this is no fantasy world but instead the Spanish town of Ronda is a magical city set deep in the sunburnt deserted landscapes of Andalucia, optimistically built onto a cliff split by a colossal gorge. The two sides of Ronda are tethered together by this stunning bridge known as Ronda’s Puente Nuevo. The newest of the three bridges that crosses the breathtaking El Tajo Gorge carved by the mighty Guadalevin River, Puente Nuevo was finished in 1793 after a long 34 years of construction. It is a master of engineering and an impressive work of architecture, calling in at a shocking 66 meters long and 98 meters high, built straight into the solid rock of the El Tajo Gorge. The small window just visible in the side of the bridge was once used as a prison – with condemned prisoners simply thrown from their cells to meet their doom on the rocks at the bottom of gorge a la Vlad Tepes Dracula. 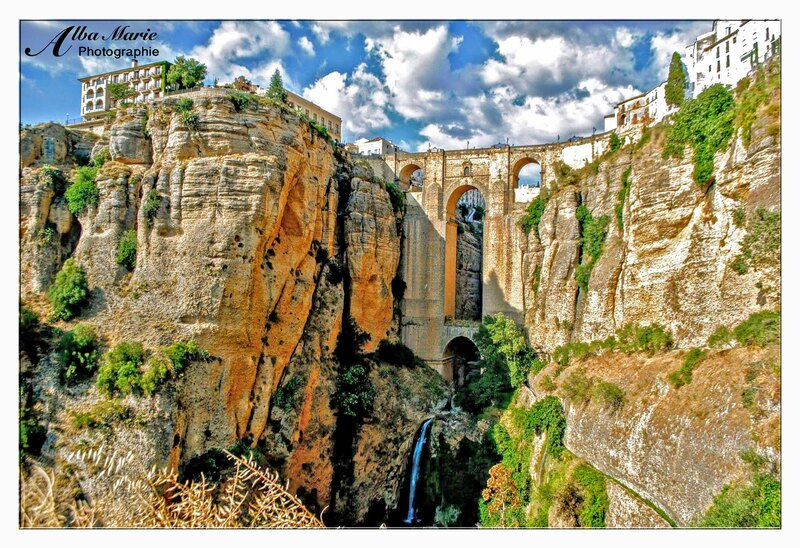 Today, it is both tourist attraction as well as a fully functional bridge, connecting forevermore both halves of the city of Ronda, capital of the famous Pueblos Blancos. Pro Tip: The Puente Nuevo bridge is best seen from below. Descend along a narrow path that leads down the side of the gorge, but beware, the path is eroded and in poor condition so be sure to wear proper hiking gear. Dusty, quiet, out of the way, the tiny Trakai village would be completely overlooked if not for its spectacular local monument – Trakai Island Castle, a splendid brick teutonic castle constructed on a island in the medieval era. Made up of colourful wooden clapboard houses, quiet tree-lined streets and embraced in a welcomingly fresh air, walking through Trakai village feels like you are exploring the Baltics of Europe behind the scenes, getting a glimpse of where the real people live. But in many ways, Trakai is not a normal place as it is a village that has been constructed and even preserved by an array of different nationality, ethnic groups and cultures. Tatars, Russians, Jews, Karaims (from Turkey), Lithuanians and Jews have – and do – all live here peacefully, rubbing shoulders as their lives quietly overlap. Trakai was once a booming town under Polish then later Lithuanian rule but saw significant decline as Vilnius and Krakow rose in importance. Though a small place today, Trakai has managed to stay significant due to King Gedimas’ lovely castle on the beautiful lake. Pro tip: While in Trakai, be sure to try kibinai, a savoury pastry brought to the region by the Karaims community. Delicious and filing! Also, Trakai – and the Baltics in general – are a great place to purchase amber jewelry. Wooden chalets with steep rooftops and lovely balconies, ornamented with flower boxes and carved silhouettes of fleur des lis, this tiny hamlet tucked deep in the lush forests of the French Alps is fit for a fairy tale. Located just above the picturesque Gorges de Diosaz inside the lovely Réserve Naturelle de Carlaveyron, this little hamlet offers brilliant views overlooking the magnificent Chamonix Mont-Blanc Valley. The perfect jumping off point for hiking in Alpine forests, the snug hamlet of Montvauthier seems to have fallen of the pages of a Disney tale. This is the Alps at their best, the backstage pass. Mont Blanc and Chamonix are stunningly unforgettable and are clearly the stars of the show. But the French Alps have so much more to offer the curious visitor than just that. In fact, the French Alps contain some of the world’s best hiking trails. The Alps have gorgeous snow towns world renowned for skiing. 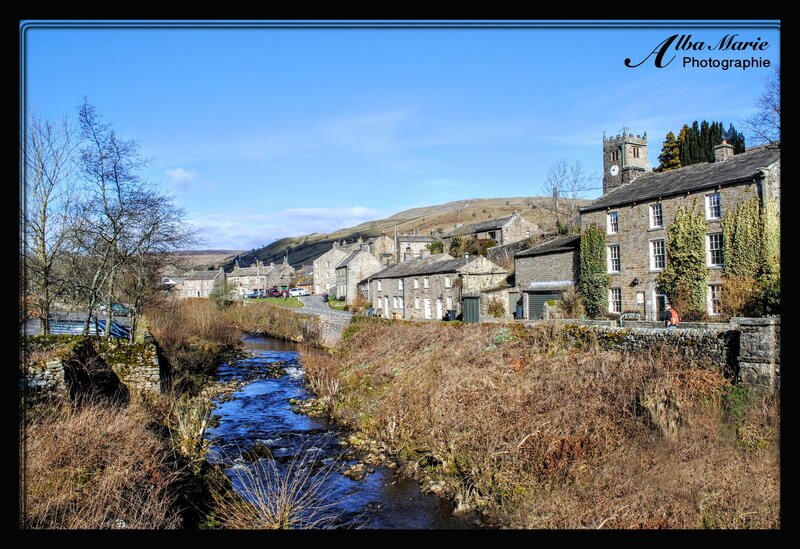 And they have countless tiny villages and hamlets as equally gorgeous as they are unknown. Montvauthier is one such place. The best part about the Alps is that you don’t have to go here – not specifically here anyway. You just have to get off the beaten track because the massive Alps are full of amazing places waiting for you to discover. Pro tip: Be sure to try hearty Savoy dishes like raclette (melted cheese over potatoes and charcuterie), tartiflette (oven baked cheese, bacon and potato dish), or the classic fondue (a pot of melted cheese thickened with flour and spread over bread). There are many local red wines from Savoy as well. Proximity to Italy means the pizza is quite good too. Wooden clapboard houses, dipped liberally in sombre yet sharp colours, hug the cold shores of one of the most beautiful fjords in all of Norway, the massive Sogneford. The village of Aurlandsvangen is located on one of the fjord’s thinnest and most stunning branches: the narrow arm of Aurlandsfjorden. Its sister arm, Nærøyfjord, is a UNESCO World Heritage Site. 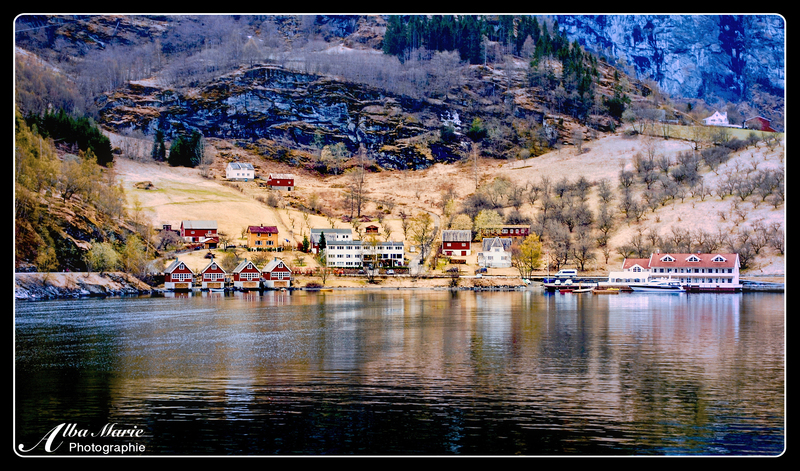 Home to a mere 770 people, the little houses of the village cling happily along the edge of the fjord. In this place, where the river weaves through the . mountains to cascade into the fjord, life is simple. Due to the influx of tourists, however, it has gotten more complex lately. When people travel sustainably, there is little impact on the destination. However, tiny fjord villages like Aurlandsvangen or nearby Flam have been overwhelmed with visitors, receiving double or triple their population daily in season. While visiting small communities such as these is great in that tourism spending strengthens the villages’ local economies, too large an influx who simply ‘pass through’ on the way to somewhere else (without spending locally) only succeed in leaving a negative footprint. Be mindful of local cultures and communities when you travel and make sure your euros stay in the local destination and don’t go to faraway international corporations. Unlike US national and state parks, French parks are home to more than just animals. Tucked away into the Livradois-Forez Regional Park in the rural yet beautiful region of Auvergne is the tiny hamlet (in French, a ‘lieu-dit’ or a ‘spoken place’) of Fougères, home to less than two dozen people. 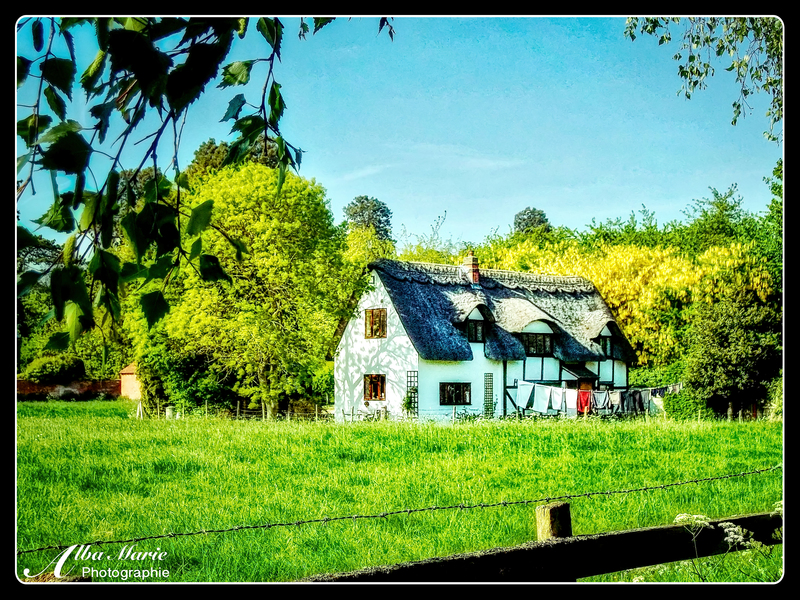 One of dozens of other such hamlets throughout Livradois-Forez Regional Park and beyond, what makes Fougères special is not so much the place itself as it is the collective co-habitation of people and wilderness in Livradois-Forez. In the USA, national/regional parks and people’s homes are regarded as two separate, un-mixable entities – but in Europe, the story is different. Parks in France, while protected from certain types of development or land-harming actions (like mining, logging, hunting, etc.) can be home to farms, homes, hamlets, villages, as well as forests, rivers, lakes and wildlife. This is seen across Europe in countries such as Italy, Poland, Latvia and beyond. Local people can live in the parks while people from cities or faraway places can visit in order to hike, bike, kayak, canoe, ride horses or camp in the fresh air of the countryside. End result? Perfect harmony. Quick tip – use the medieval village of Olliergues or the quaint town of Ambert (famed for its delicious local cheese of the same name) as a base if you don’t plan to sleep under the stars. Italy is full of churches. To no one’s surprise, it’s one of the most church-dense countries in Europe. The Chiesa di Santa Maria is surprisingly old – it was built in the 1300’s. 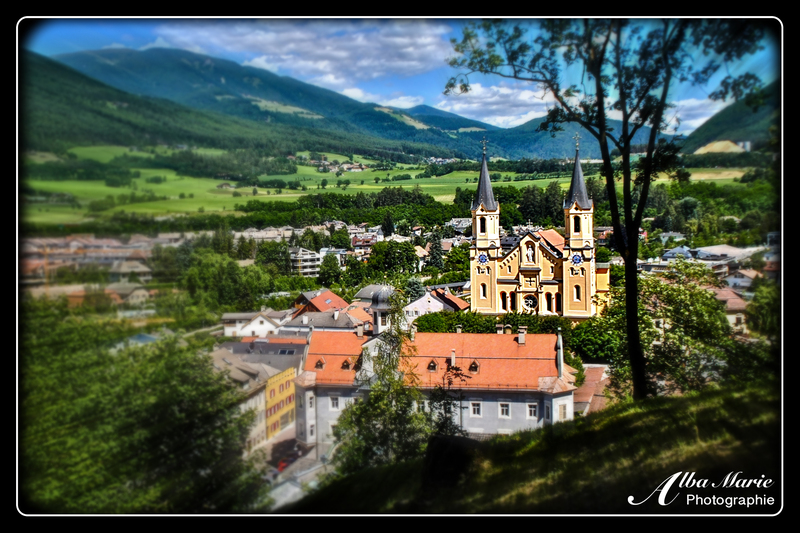 It’s charm, however, comes largely from its location in the quaint, Germanic village of Brunico (Bruneck in German), nestled in the heart of the Dolomite Mountains of Northern Italy. Brunico is the perfect base for exploring the rugged backcountry of Sud Tyrol (Trentino-Alto Adige in Italian), a relatively new region of Italy (only becoming part of Italy after WWII). With an interesting melange of Italian and Austrian cultures, even the smallest of villages of Sud Tyrol feel wildly diverse. In the winter, this northeastern corner of Italy is well-known for fantastic skiing. The summer season draws adventurous travellers in with the promise of narrow mountain paths weaving through sunny forests and emerald meadows, full of chirping birds and rustling undergrowth. In the village of Brunico, visit the idyllic castle perched atop the hill for panoramic views of the village and beyond. The castle, now a museum of mountain climbing and the Himalayas, is situated on a lush forest backdrop, complete with meandering mountain paths and a rustic WWWII cemetery. Coming down from the castle’s hilltop path, enjoy this perfect view of Brunico and the lovely Chiesa di Santa Maria, the turquoise mountains forming a magnificent backdrop. Back in town, settle down to a pizza in the family-run restaurants in the historic old town as the sunsets over this adorable mountain village. The natural border between the nations of Poland and Slovakia, there are ample opportunities to literally walk across the border while hiking the mountain trails (thanks to the EU, this is all okay). The Tatras are a little-known mountain range in southern Poland, but offer some of the best hiking in Europe. Compared to the Alps, the Tatras may seem small – but they are also a road not taken by many. 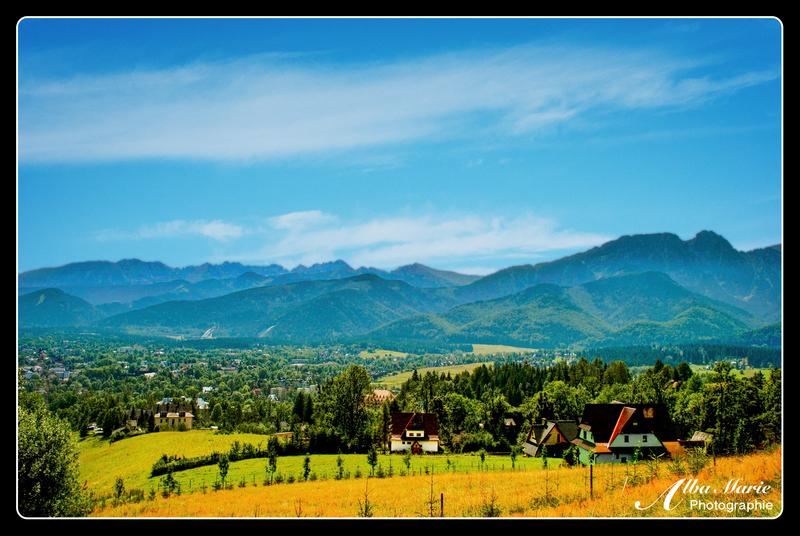 Zakopane, Poland’s capital of the Tatras, is the busiest town in the region (also known for skiing), but most of this mountain range is woven with rustic trails that meander through quiet forests and quaint villages. The Tatra Mountains eke a sort of majestic silence – hiking through their quiet backcountry transports you to another world where villagers still organise outings to go mushroom-picking, celebrate local traditions, song and dance, and bake traditional dishes with little influence from outside the region. Here, timeless landscapes nearly untouched by modern times abound. The bustling Zakopane is an easy starting from, as it’s the most well-known city in the Tatras, but it’s also the most crowded and least authentic. Consider instead starting from one of the a smaller towns far off the beaten track – one example is the Rajcza, a little south of Bielsko-Biala. Of note, the town of Zywiec (home of Zywiec Brewery) isn’t far. Near Zakopane is the amazing mountain fortress Niedzica Zamek. Small towns like Poronin or Nowy Targ are also lovely! No matter where you head into the Tatra Mountains, you won’t be disappointed; every inch of the Polish and Slovakian Tatras is magical. Spring is just around the corner -and also happens to be the perfect season in Spain! The sun isn’t too overbearing; the air isn’t too hot and sticky. The crowds are less thick than in summer. Cafe terraces are still peaceful, waitresses still patient, beaches still quiet. Peñíscola is the perfect place to spend a spring day. The narrow, winding streets of the old town are full of hole-in-the-wall cafes, restaurants and shops. The oceanside breeze is refreshing – perfect for taking a stroll. The white-washed walls of the city are delicate and calming. The locals happily chat in the street and overhead across the balconies. 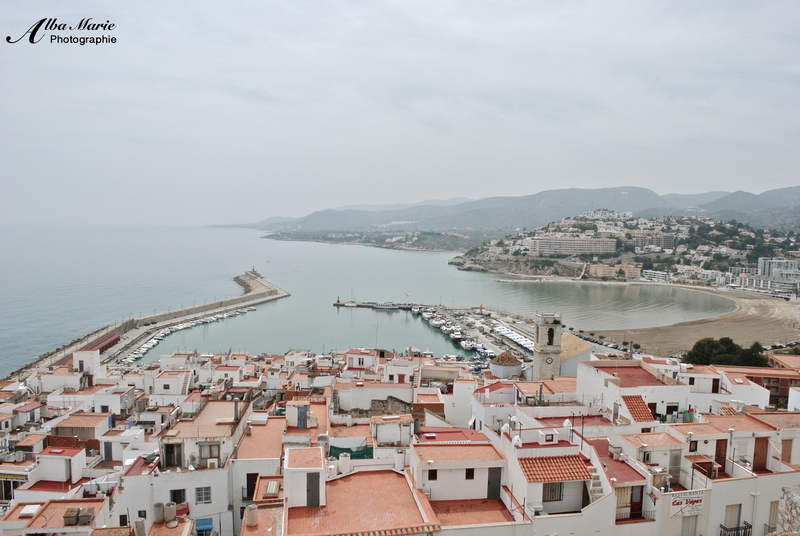 As you climb, terraces criss-cross, affording great views of the town and the nearby beach. Stop for an afternoon spritzer or glass of wine before continuing on to the castle, where the views across Peñíscola are the best! Orange clay roofs, white walls and blue waves pepper the quilted landscape below the castle walls. In the city below your feet, there is the hum of life but up here, there’s nothing but fresh air and the cries of seagulls. As the afternoon sun bathes you in warm life, you lean against the ancient stone wall of Peñíscola’s fortress and let your mind wander. There’s nothing like spending a spring day atop a castle in a small Spanish town! As today is my final day working in this small city in northern Spain, it seemed only appropriate to share an image of this charming seaside Spanish town. Santoña, located in the Spanish province of Cantabria, is a quiet town where one comes to hike to the top of the nearby mountain, enjoy relaxing days on the beach, drink a proper coffee on a Spanish terrace and discover the ruins of forts hanging off local cliffs. The weather more closely resembles the UK or northern France than the south of Spain, as it tends to rain a lot more than one would expect. As a result, there is life ; everything is green. Palm trees line the beach, blue skies rise over terracotta roofs. Fortresses crumble into the sea and next door, steep rugged cliffs rise out of the sea. Magic lingers on these rocky shores, and even though I’ll be gone tomorrow, the memories that follow me are magic enough. Of course, the list of reasons why you should fall in love with France is longer than China’s Great Wall, but one of things from the list that particularly stands out is the sheer number and beauty of French villages. While places like Poland, Croatia or Latvia have their own form of beauty (Polish old towns are especially beautiful, Croatia has an magnificent coastline and Latvia has some magnificent “unexplored” wilds), 9 times out of 1o, the villages you encounter in their countryside are just okay. Of course, Spanish and British and German villages are cute too…but nothing beats France. One of the best ways to see France is to get a bike, head out to the countryside – biking along the Saône River, the Rhône River, the Loire River or the Gard River are just a few examples of river-based itineraries – and visit the villages. This particular village, renamed Neuville in 1665 by the archbishop of Lyon, Camille de Neufville, features this castle or une maison forte, as the French say (literally, a “strong house” i.e. a fortified dwelling), that rises up from the town’s centre. Sadly, the castle is in disrepair and closed to the public, but this has little affect on the loveliness of the surrounding village. The Monts d’Or region north of Lyon (literally, “Mountains of Gold”) along the Saône River, is full of adorable, take-your-breath-away villages (and not just because you’re huffing and puffing after putting a few kilometers on that French bicycle!) – so don’t forget your camera. Or a bit of cash – Les Monts d’Or borders the Beaujolais wine region, so be sure to taste local wines, perhaps buy fresh, local produce, or even stop for a quick beer by the river! It’s hard to imagine that in 12 days (twelve! ), I will be back in Spain – and for the whole summer! Spain is certainly one of those countries that is so…flavourful, so memorable. 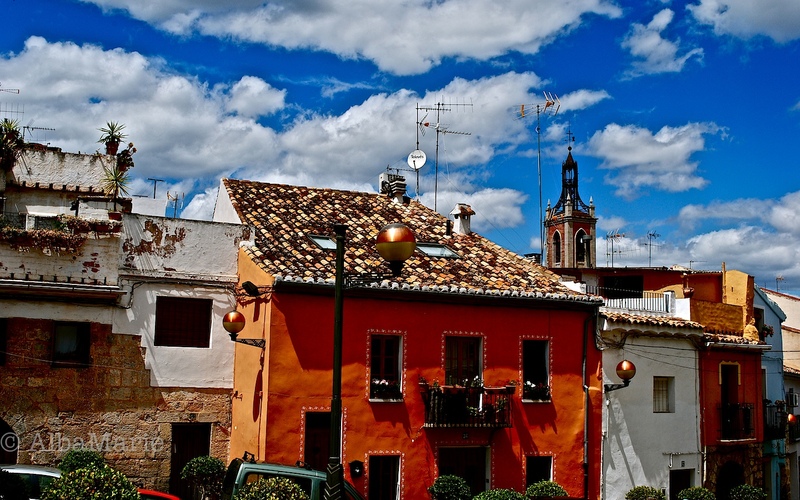 Memories of Spain do not get jumbled into a pile of “vaguely-European memories;” instead, they stand out, just like this bright orange house in the adorable village of Sagunto, not far from Valencia. Spanish cities are great for the nightlife, but Spanish villages are where you go if you like to eat, drink, take beautiful photos, see ancient buildings, and watch the magnificent sunsets. Sagunto, an ancient Roman city, may not be huge and sprawling, but it creates its own miniature “bustling” world. The people are nice, the weather is great, the beach is close (6km), the beer is cheap, and the views are fantastic – what more could you want? 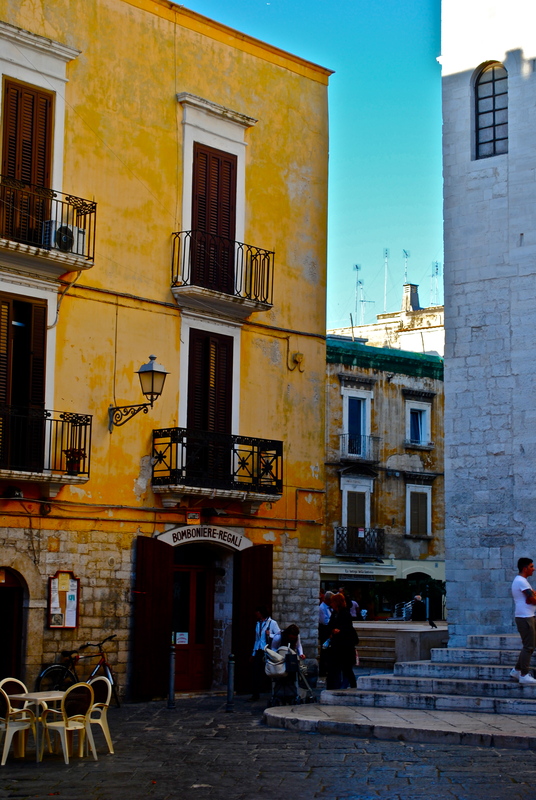 Ah, lost deep inside the labyrinth that is this little Italian port city of Bari. Bari is a lovely, oh-so-typically Italian town overlooking the Adriatic Sea. Rude bus drivers, confusing (or nonexistent) signs, women hanging laundry on balconies while shouting across to each other three stories up, mopeds zooming down narrow streets, pizzas baking in corner shops, men playing chess on makeshift cardboard tables, teens drinking in the square, children racing each other on tiny bikes, gelato stands spilling out of windows, shoppers haggling over miniature markets. Amongst the chaos, you feel content…because, after all, this is southern Italy – and the chaos is mandatory. Italy wouldn’t really feel quite right without it! Not much has changed in this little medieval village. In this modern world where new technologies affect our lives every day, our urban landscapes can’t help but change alongside our changing technological needs. But sometimes—sometimes we manage to hold on to a little piece of the past. European civilisations (and therefore buildings) are of course very old, but France somehow seems to give the impression of being even older than other countries. Walking down a French street, it’s a relatively normal thing to come across an old well, a crumbling stone wall…or an old wooden door, paint chipped, vines grasping to the ancient stone façade, flowers spilling out of cracked windowpanes. Pérouges dates back to the Middle Ages and while now its streets are mostly walked by tourists, the town gives us a little glimpse into the past—showing us how we can learn something from the old edifices created by our ancestors.